Cake decorating isn’t complete without a cake topper. It is the ‘crowning glory’ of any cake masterpiece especially for extremely special events. Cake toppers are very significant – a huge detail that guests will never ever fail to notice. 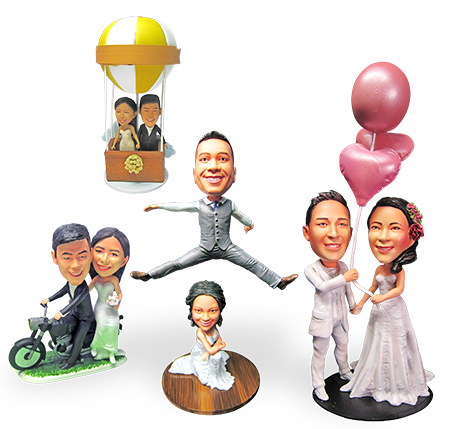 So how about leaving a lasting impression on them by getting the best customized cake toppers from the leading supplier in the market today? 3D2GO, the pioneering 3D printing hub in the country, specializes in manufacturing customized cake toppers perfect for any occasion. We 3D print personalized mini-me bobbleheads, figurines, sculptures… or just about anything our clients require.